Note: We are the only softball program in district 27, and because of that we are allowed to accept players from outside our boundaries, anywhere within the city of Torrance. The following boundaries apply for the Baseball programs only. 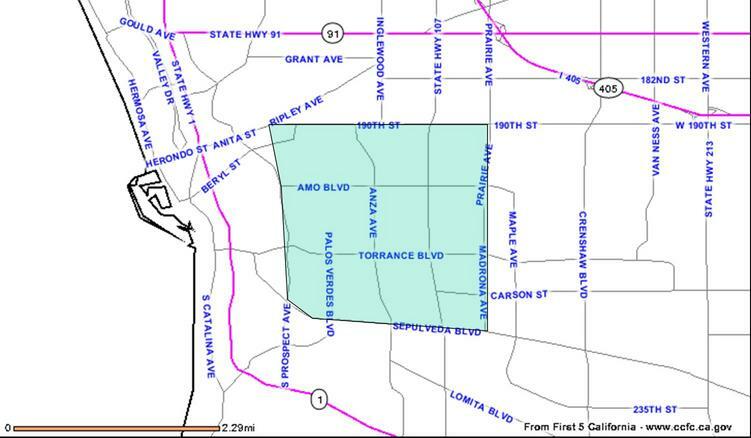 WEST: Flagler Lane to Prospect Avenue at Torrance Boulevard; to Torrance City Limits. The District 27 web page can provide you with information on the other leagues in the area.